Yesterday Sunny and I got these delicious chews that our human calls bully sticks. They are so yummy and fun to chew on! I'd love to have one every day forever and ever but we only get them as special treats every now and then. Sunny kept trying to steal my bully stick. I don't know why though since she had the bigger one! As the younger sister and baby of the family I really think she should have offered me the bigger bully stick. I tried stealing hers away but she snapped at me. Hmph! My pugs love bully sticks! Recently though they have been fighting over them and it's the only occasion I have ever seen them get mad at each other! 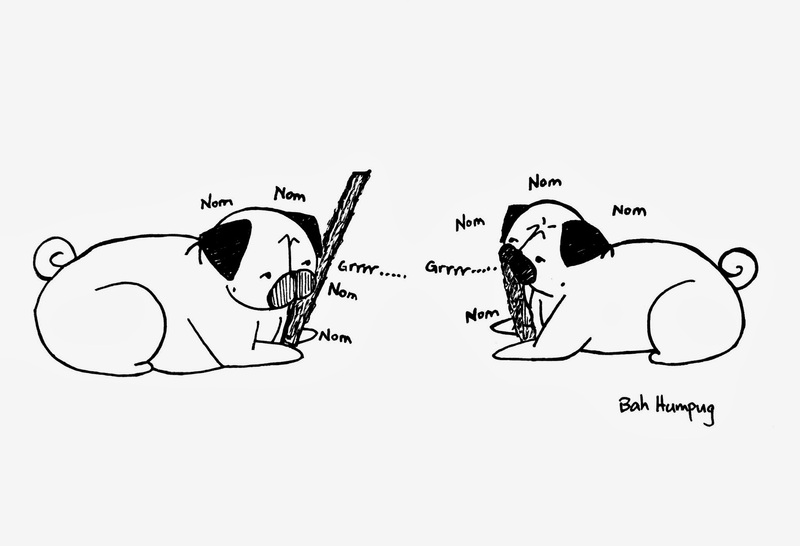 Bully sticks make pugs bullies!! !